What’s in a Name? | MND GMZ MINISTRIES: Reclaiming the Rules, Finding Identity in Christ. Have you ever thought about your name? There is a lot of meaning and a lot communicated in a name. I have spent much of my life living in small towns – like really small. I had 75 students in my high school graduating class. My parents have lived next to the same neighbors for over 20 years. And in my small hometown of 2000 people, my last name communicates a lot. It connects me to others that have the same name. 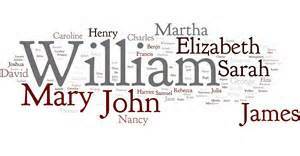 Whether you are proud or ashamed of your last name, whether your name carries positive or negative connotations, your name means something. When you accept your identity as a child of God and become part of God’s family, you receive a new name. Now you bear God’s name and now you represent Him. What is that name? Many might say, “Christian” is your new name, except that Christian is rarely mentioned in Scripture. I believe God’s family name is actually “love”. 9 God showed how much he loved us by sending his one and only Son into the world so that we might have eternal life through him. 10 This is real love—not that we loved God, but that he loved us and sent his Son as a sacrifice to take away our sins. 11 Dear friends, since God loved us that much, we surely ought to love each other. 12 No one has ever seen God. But if we love each other, God lives in us, and his love is brought to full expression in us. 13 And God has given us his Spirit as proof that we live in him and he in us. 14 Furthermore, we have seen with our own eyes and now testify that the Father sent his Son to be the Savior of the world. 15 All who confess that Jesus is the Son of God have God living in them, and they live in God. 16 We know how much God loves us, and we have put our trust in his love. 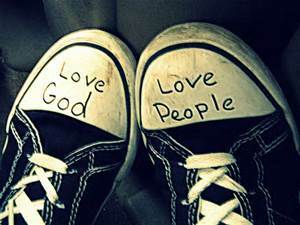 God is love, and all who live in love live in God, and God lives in them. 17 And as we live in God, our love grows more perfect. So we will not be afraid on the day of judgment, but we can face him with confidence because we live like Jesus here in this world. Wow! Did you catch that? Through God’s ultimate expression of love – Jesus’ death on the cross, we can become children of God. If God is love, that means you are beloved! But we must love others in response to God’s great love for us. Bearing God’s name means representing God’s love in the world. Loving others is how God becomes real and “seen” in this world. You have experienced God’s love and grace, that is how you were adopted into His family as His child. Now it is your calling to share that same love with the world so that the world can see how real God’s love is. This is not as easy as it may sound. Loving others is risky business. There is no guarantee that others will love you back. And God knows this truth better than anyone. Loving others requires giving sacrificially of ourselves. Jesus sacrificed everything for us and bearing God’s name means being an example of Jesus to the world through sacrifice. When we love others well, we bring glory and honor to God’s name. Christ is counting on you to live out your faith in this world. To do so effectively, we must count on Christ for the strength we need. What keeps you from sharing God’s love with others? What are some ways you’ve shared God’s love with others?